When it comes to protecting yourself in the early years of the medieval era, nothing compares to a good suit of mail armor. 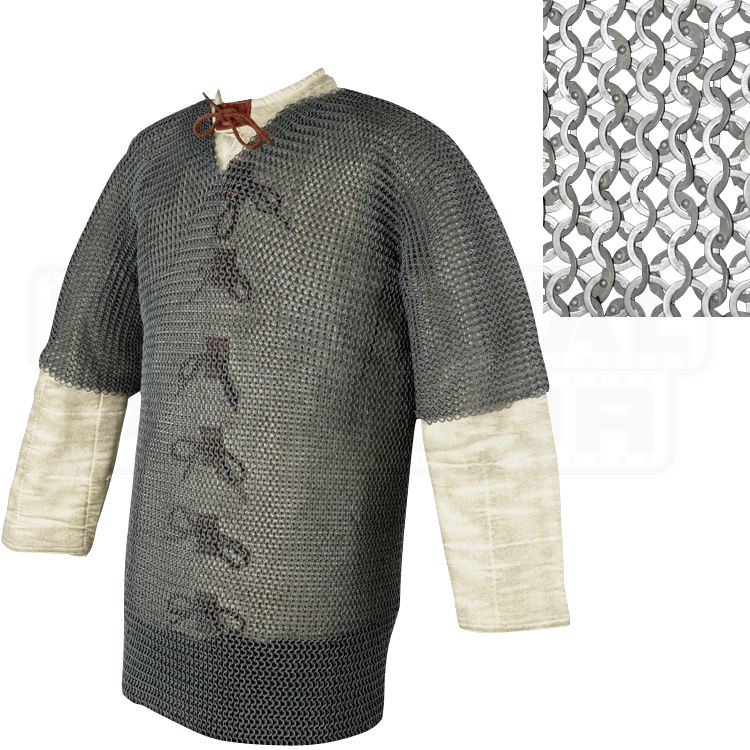 And this 60 Inch Half Sleeve Chainmail Haubergeon is definitely a good suit of mail, one that you can trust your safety to. In medieval terminology, the haubergeon literally means little hauberk, and in this instance, is a smaller hauberk, one that falls somewhere between typical hauberk length and slightly shorter, although it is longer than a typical chainmail shirt. This haubergeon is crafted from 9mm dome riveted steel rings that alternate between rivted and solid flat rings. The end result of this mesh is a high quality suit of mail armor that provides the maximum level of protection that could be desired by a full contact reenactor. This haubergeon fits up to a 60 inch chest and is designed to reach about mid-thigh when worn. It is also a half sleeve mail coat, so it does not fully cover your arms when worn. The haubergeon also features a natural finish, which gives it an insanely realistic look that only complements all manner of truly medieval looks and styles. 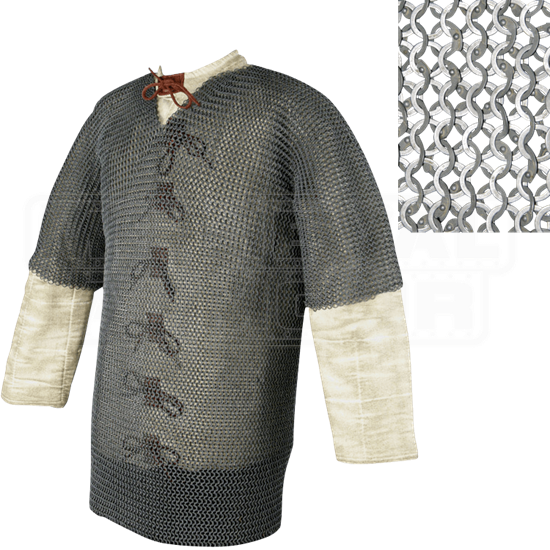 Don this 60 Inch Half Sleeve Chainmail Haubergeon the next time you are heading into a reenactment and you need some real armor to keep you safe. You will not regret the choice in armor, especially not once you realize how well protected you are and how darn cool you look in it.